It's probably fair to say that with Ballroom, Dune have produced something of a showstopping party heel. Dazzle with each step in these stunning little lurex courts. 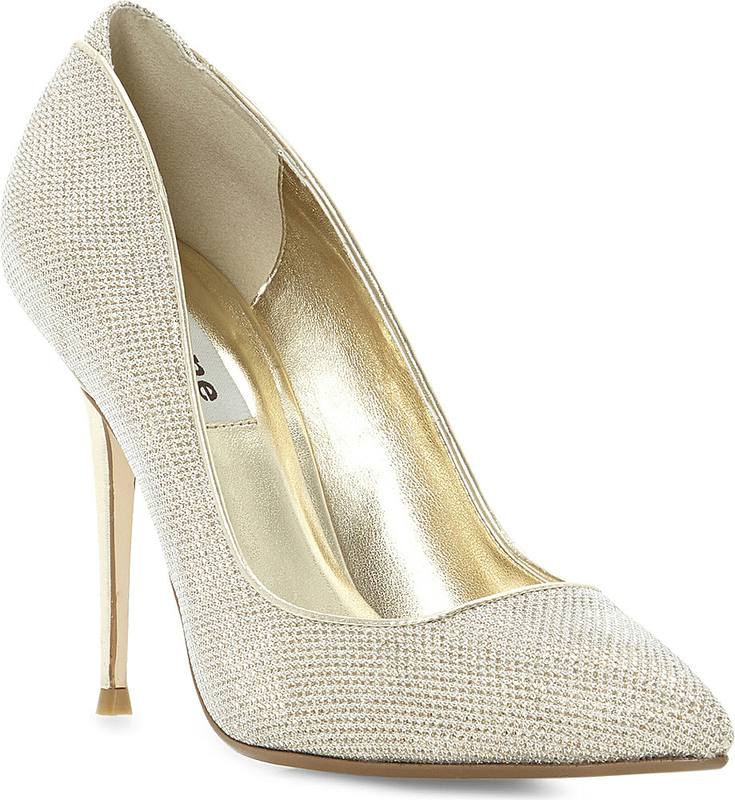 The pointed toe and stiletto heel will sharpen up your party look in an instant. The only fault of these shoes is the heel and trim. How I wish that Dune had chosen high shine silver rather than gold. Then the Ballroom heels would pretty much have been glitterballs right on your feet. 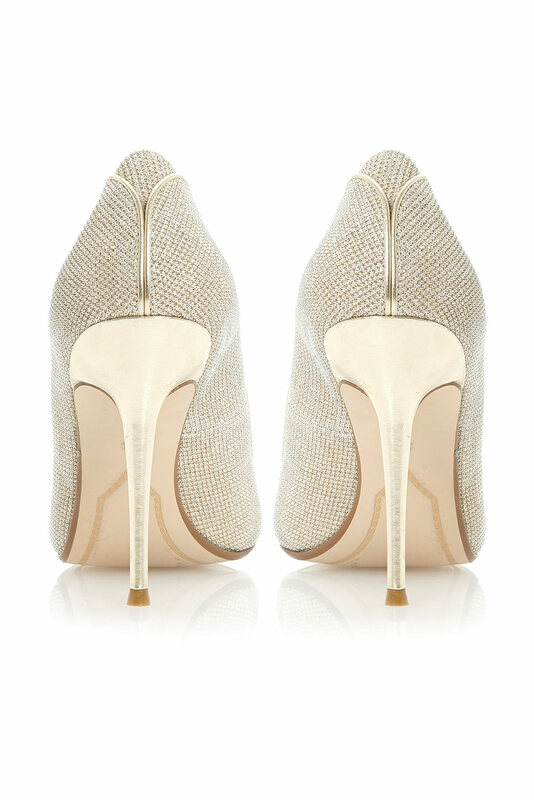 But even though the gold isn't my favourite, the actual detailing of the sparkling finish is exquisite for a pair of high street heels. Especially when you consider that they retail at around the £80 mark. The heel is a bit of a blocker for me (please Dune, bring out a silver version!) but they are amazing and at a fantastic price if you like your golden party shoes.